Do you want to end your timeshare agreement and the financial responsibilities attached to it? 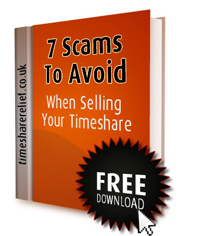 There are many reasons why people want to end their timeshare agreements. Sometimes it may be that families have tried but been unable to reserve a timeshare when they wanted. More recently it may be that the maintenance fees keep increasing with extra levies being imposed and they have not been able to sell or even give it away, with many other unsuccessful attempts to get rid of it with no results. However, there is hope. Timeshare Relief specialises in getting people out of their timeshare commitments once and for all. Our expert advisors are on hand to help you through the process and know how to deal within the industry to make sure you are permanently released from your financial obligation with no strings attached. Call today on 01386 765355 or 01386 765395. Call us today to save money on 01386 765355 or email us.